I've managed to search the forums of every player made building and assembled them all into one archive. In addition I have created a website that organizes all the buildings to make searching very fast. (link down below) This would hopefully help mappers easily find and use buildings to save some time. As I was looking at each players contributions about 25% had dead links, so I could not get all of them. Also if the buildings required custom tiles I did not include them as there were no working links. This greatly improves finding which building you need rather than wasting minutes to search. I have also added Pictures so every building in the archive now comes with a picture you can view before opening. For all your hard work and dedication! If you have buildings you should add it to the database Simply create a folder with your name and add all your building .tbx files into it then send me a download link. Feel free to add any pictures. 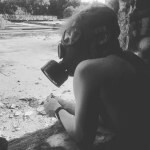 If anyone does not want their creations in this archive let me know and I will remove them. 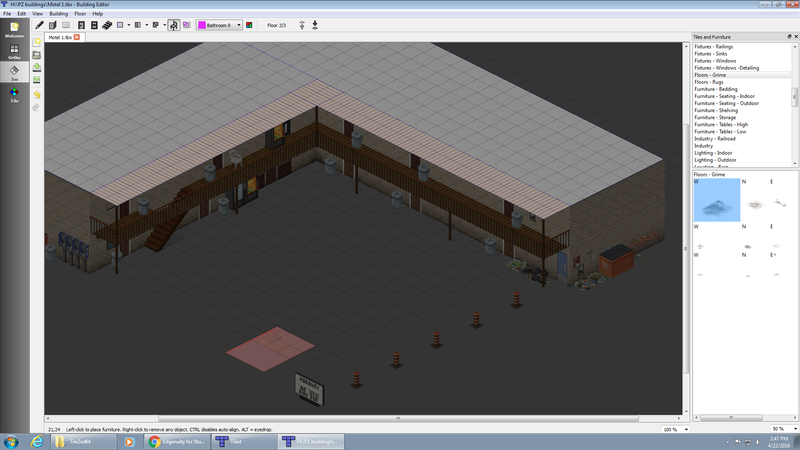 Since I am dealing with a lot of files, I will need you to provide the building names. One last thing. Please credit the original artist if you plan to use any of these buildings in your creations. ensuring website link is working, few grammer fixes. Is an excellent idea, perfect for future projects. Though thanks for taking time out of your day to do something like this, will really help future map makers. thanks for the heads up. I'm sorting through everything now and will keep that in mind. please check the 1st post for the details and download link! Just wanted to let you know that I cannot preview the link and the download gives me what seems like a corrupted document. @Unicorn The file is compressed using winrar, its a free tool that can compress files. You will need a tool to decompress the files You can use winrar or 7zip. Google does not allow previews of files that have been compressed. It is best practice to compress the files when transferring them, especially when transferred over the internet. I have just downloaded the files and decompressed them and are working, if you still have problems let me know! Hey, I was actually wondering something and maybe you can help? Like, when I try to make buildings, some tiles are still ?'s. All important tiles are fine, but everything except one railing in the railing section are ?'s. Do you know how to fix this? I have a bunch of red ?s on the stair railings as well. I am not sure on a fix, but I just find ways to work around it and use the ones that don't have ?s on them. This has helped because my links were inevitably going to die. A useful feature for the site would be tagging and searching for buildings by tag. I have about 200 buildings, I'll share them once the Union City Suburban Area is over and out to play. 150 of them are just houses. 110 at least are furnished and ready to be placed. You made a very beautiful large office building I have seen in several YouTube tutorials which show the link that no longer exists. If you still have it, can you please repost that office building. Thanks. It was labled motel1.tbx. Heh, ended up editing this before anyone got a chance to reply to it. Anyway, I got into the building editor and started taking a look at the building that was giving me an issue with the stairwells where if you try to use one, you pass right through it. Now that I found them, I'm stuck at what would be needed to get them to work. I had assumed their were hidden teleports like I seen in other games where a user doesn't see them, but walking by the step transports them to a designated spot which gives the illusion you walked upstairs or downstairs. Now that I see there is nothing like that, what would cause someone trying to use a stairwell to pass through? If I am able to find out, Id hopefully be able to fix some buildings doing just exactly what I said above. Thanks. You might be using Tile Mode, get out of it and use ISO mode for stairs. 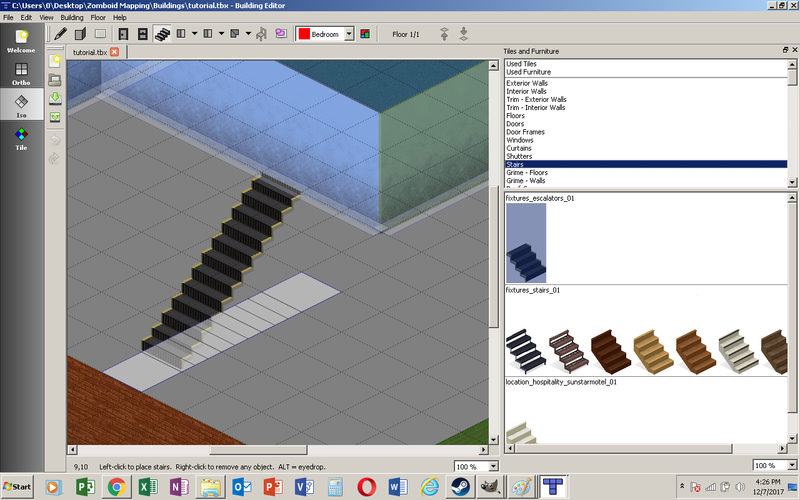 Click the Stairs Icon on the top toolbar, then Stairs on the right side menu, select the stairs you want. Then place them in the editor. It's not a motel, its an office building you created, and it's beautiful! The YouTube video tutorial that showed it actually has the link in it, the same one you just gave me except you deleted the link at some point due to an issue? Saw a lot of theindiestone videos, especially on some type of creative editor that I cant find either here. That video was from February of 2016 and the demonstration given has me baffled on how such a great utility, is hard to find now. Ill include a copy of the creative mode snapshot here too. 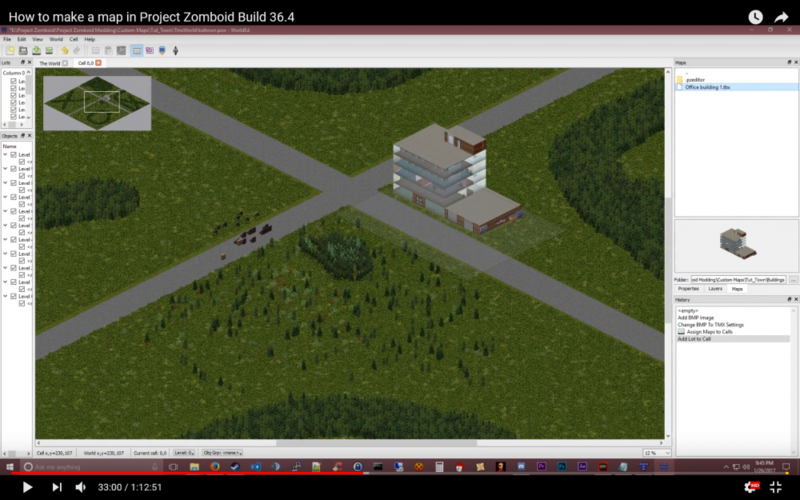 Sorry guys, been busy and took a break from Project Zomboid. I love this game and usually take breaks to prevent burning out on it. I am still working on this project, however I have been working on how to make mods in the game. I will be updating this as soon as I get a chance. 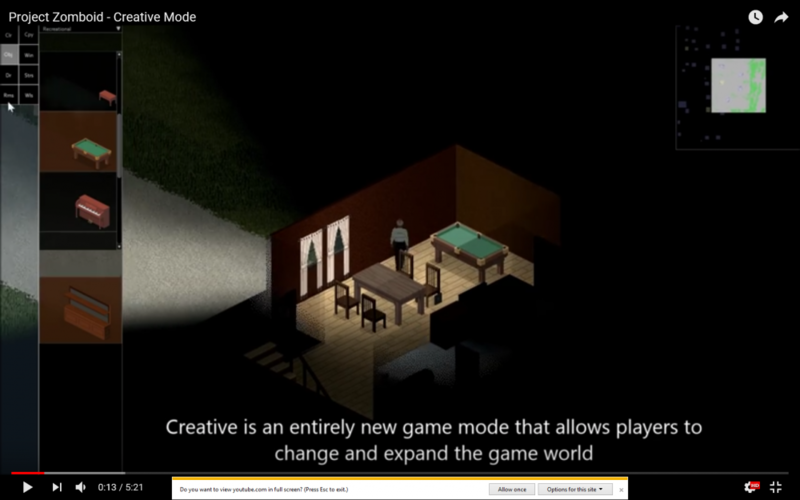 Your the one who is making the Creative mode for the game? Thanks for the info. You were right, I was using the tile editor. Found the building editor and worked from there. I resaved under a different name but discovered I really didn't have to delete all the stairs and replace them. Turns out, just loading them into the building editor, then resaving puts in the correct information so the building works, or at least this is what happened with the big office building I could not access the floors on earlier. I've managed to search the forums of every player made building and assembled them all into one archive. This would hopefully help mappers easily find and use buildings to save some time. As I was looking at each players contributions about 25% had dead links, so I could not get all of them. 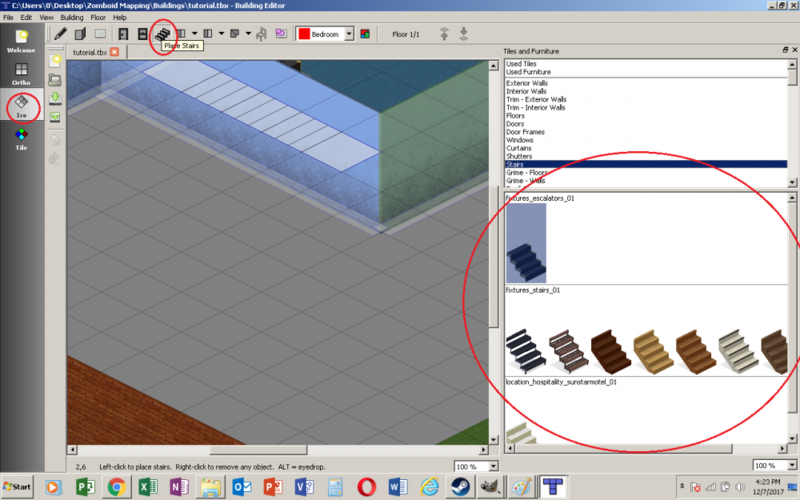 Also if the buildings required custom tiles I did not include them as there were no working links. I have added two new artists to the pool with their recent work. Due to the complexity and staggering amount of recent buildings added, I'm going to have to make a website which shows pictures, the proper custom tiles, and tbx files themselves. This will take some time and once it's finished Ill let you all know. ~Update~ currently I am still working on the back-end of the database and have ran into some issues. For now I will continue to use google drive to host the database. Crazy question. Is this your video? If it is, you ask people to message you if they have any questions, but you don't have private messages enabled. Left you some comments on two of your videos if this is you, that I gather you don't visit often.